Xiaomi recently updated its Smart TV portfolio in India with the launch of a trio of new Mi TVs, including a refresh for its thinnest Mi TV 4 with the ‘Pro’ suffix. The 55-inch Mi TV 4 Pro is now scheduled to go on sale for the first time at 12:00 PM on Flipkart and Mi.com. 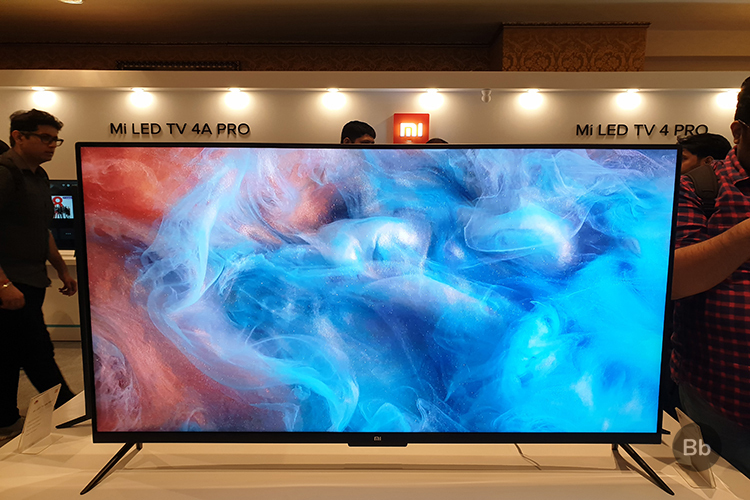 Mi TV 4 Pro, as we pointed out above, is a successor to not only the thinnest Smart TV in Xiaomi’s lineup but also the first-ever TV that the company launched in the country. This 55-inch panel boasts of just 4.9mm of thickness and a bezel-less design, which makes it absolutely gorgeous. The 55-inch Mi TV 4 Pro sports an Ultra-HD 4K LED panel, with a display resolution of 3840×2160 pixels and 60Hz refresh rate. It also includes HDR support, which means you can get the most of your viewing experience, but sadly not on Netflix. It is powered by a quad-core 64-bit AmLogic processor, coupled with 2GB RAM and 8GB internal storage. The highlight would, however, have to be the Android TV integration instead of PatchWall OS. You now get a PatchWall launcher atop the stock experience. It runs Android 8.0 Oreo-based Android TV out-of-the-box and you can now install over 3,500 apps directly from the Google Play Store. The updated software also makes the Mi TV 4 Pro capable of voice interactions using Google Voice Search, which is a definite plus for Xiaomi. So, would you be interested in buying the 55-inch Mi TV 4 Pro? Let us know down in the comments below.